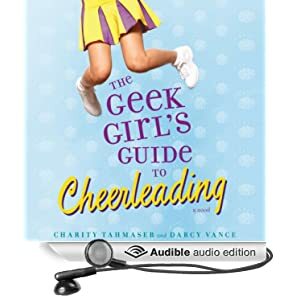 That’s the audio version of The Geek Girl’s Guide to Cheerleading! Geek Girl! In audio! You can take her on your commute, download her to your Kindle–and who wouldn’t want to do that? 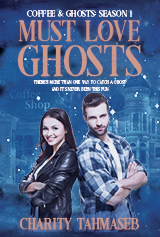 I listened to the sample and think they chose an excellent narrator. And then I listened to the very start on my Kindle and they totally said my last name correctly. (Three cheers for Audible!) It sounds so awesome to hear “… by Charity Tahmaseb and Darcy Vance.” I’ve listened to so many audio books that to have one is just amazing. That’s pretty awesome, woo hoo! Thanks, Jenn. I have to admit that it feels a little surreal. Thanks! I’m still really excited about the audio, although truthfully, I haven’t listened to much of it. It’s still a little surreal.